The woods used for this art are special. They are hard wood which can be easily shaped and exhibits a grand show of wonderful grain formations and burls. Maple, burl elm and rose wood are the most popular among them. The specialty of these woods is that the coloration and grains and burls of these woods form beautiful natural designs. The craftsmen use more than one type of wood to create the designs. They use tiny pieces of wood of different colors to form various designs. These tiny pieces are assembled and inserted into each other to form the desired designs. This needs tremendous expertise. This expertise is transmitted from the ancestors of a family to their predecessors. 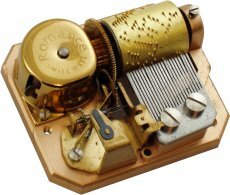 This gives the art a charming antique quality which is why the Sorrento music boxes are highly prized around the world. After attaining the desired design, the wood is planed and varnished to get a smooth shining surface. Apart from the man-made designs, these wood pieces conceal great natural designs in their depths, which are often brought out by a talented craftsman. 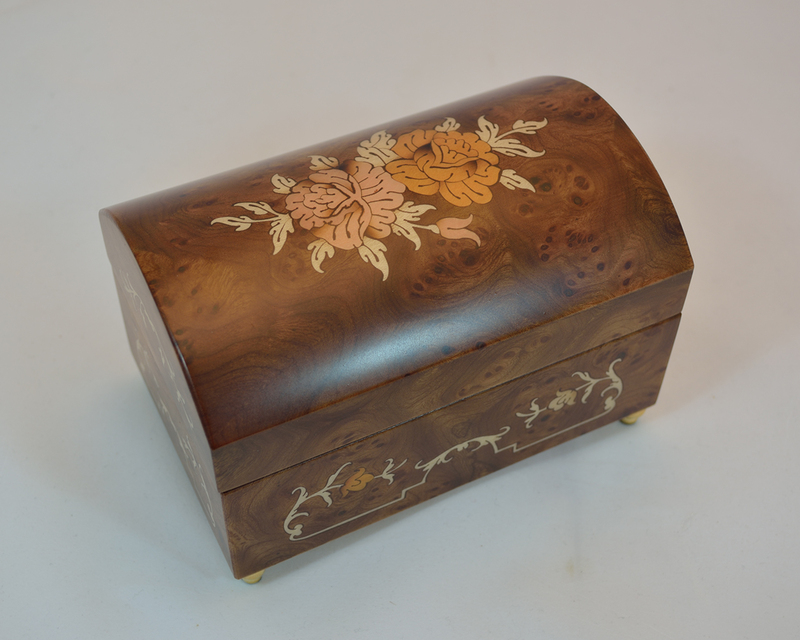 The Sorrento music boxes with natural designs are valued greatly because they are unique in themselves. 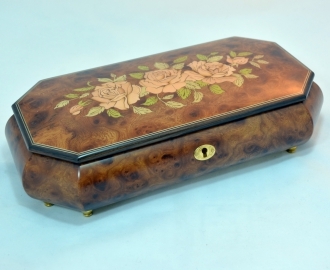 The music boxes flaunt a variety of picturesque inlays. 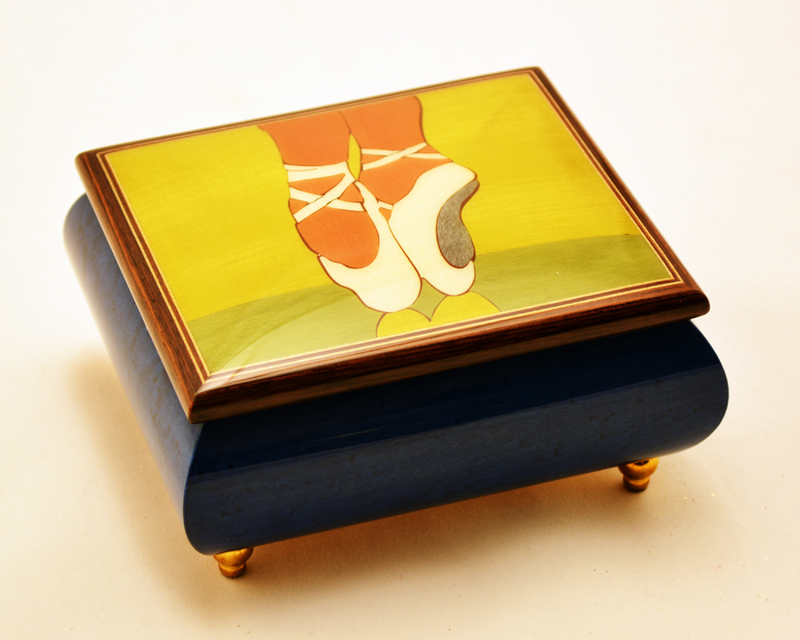 Some of these Sorrento inlaid boxes are enhanced by the paintings of skilled painters. 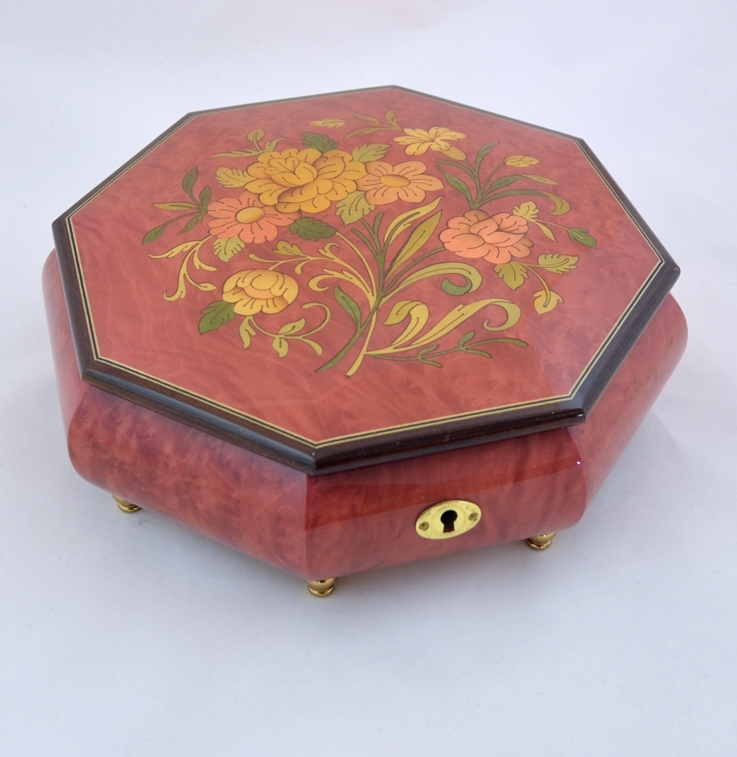 The smooth and shining surface of a rosewood Sorrento box sporting a lovely painting is definitely a valuable collectible. 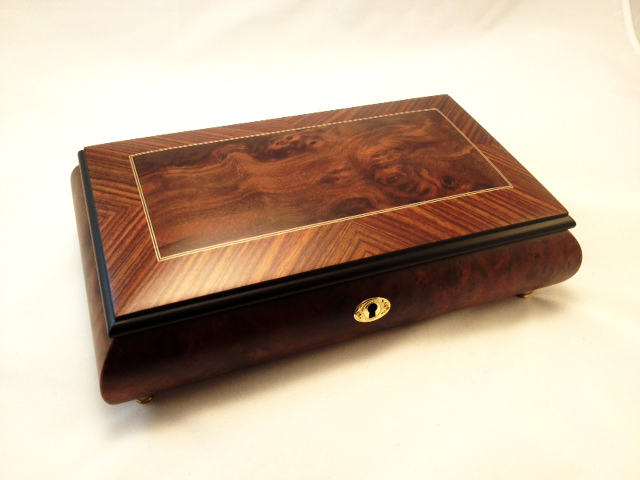 The craftsmen do not stop with the skillfully designed exterior of the Sorrento box. 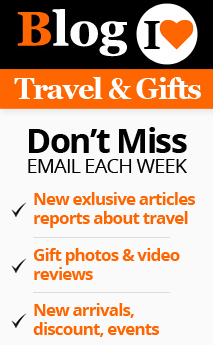 The inside of these boxes are prepared to hold precious jewels and delicate collectibles. They are lined with extremely soft and richly colored velvet and small but functional compartments made of golden metal work. 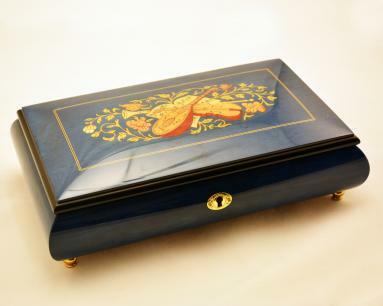 The Sorrento boxes are fashioned in different shapes and sizes. 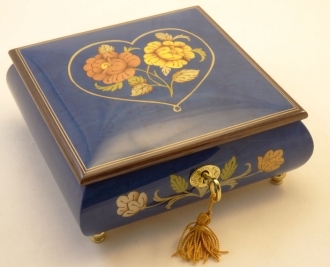 Besides the geometrical shapes, heart shaped boxes and boxes replicating the shapes of various musical instruments are created by the modern artisans. The music in these Sorrento boxes are produced by a set of pins fixed on a revolving drum or disc to run on tuned lamellae of a steel comb. 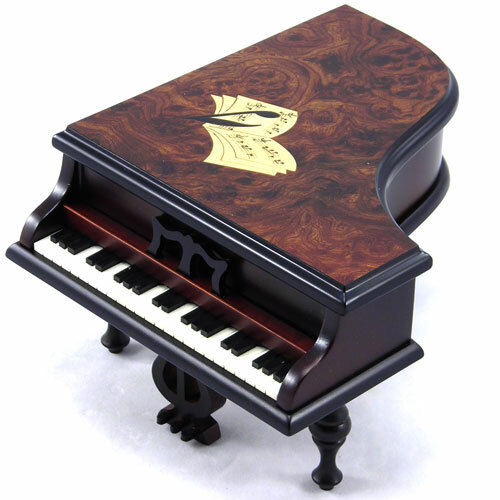 There are music boxes with 18 notes to 144 notes and multiple drums. The cost of the box depends on the number of notes as well as other factors. 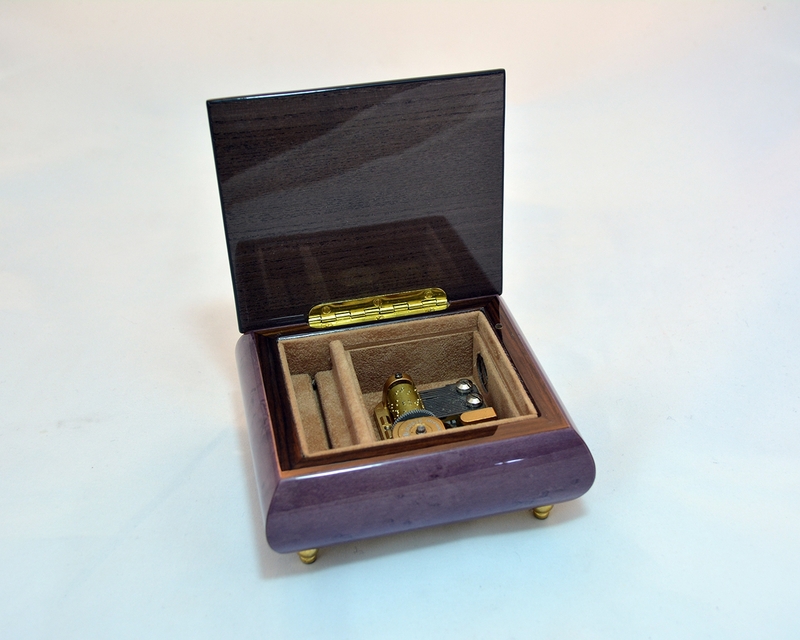 The quality of a Sorrento music box is determined by its wood and the sophisticated designs. It is determined by the delicate and subtle designs made by artisans gifted with brilliant artistic talents. The perfection of the interior dressing is given as much importance as its flawless exterior. Sorrento’s music boxes are as famous as its Limon cello, an alcoholic digestive made from lemon rind and alcohol. Both these things are unique products which give Sorrento great definition. The flavor of tradition and antiquity that emanate from them is unmistakable and inimitable.